The Theme Family Outdoor Activities. 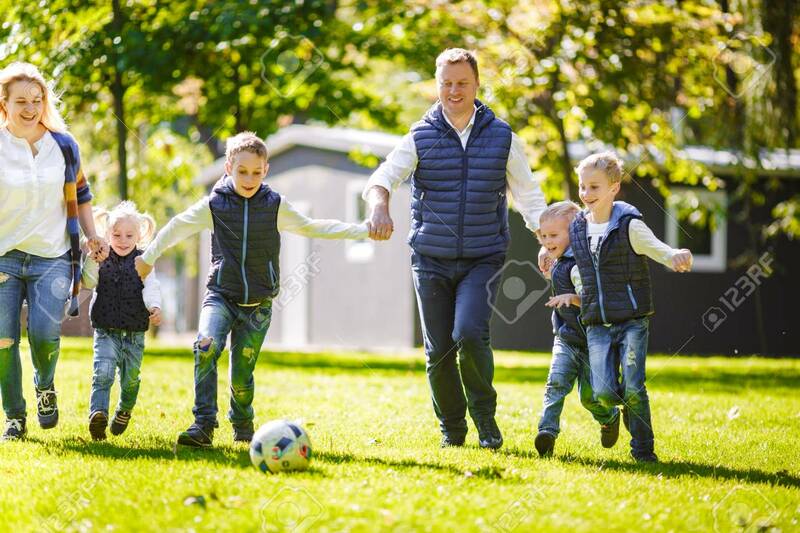 Big Friendly Caucasian Family Of Six Mom Dad And Four Children Playing Football, Running With The Ball On Lawn, Green Grass Lawn Near The House On A Sunny Day. Lizenzfreie Fotos, Bilder Und Stock Fotografie. Image 115333390.